It seems like Kate’s second Rimmel line is an even bigger smash hit than the first. 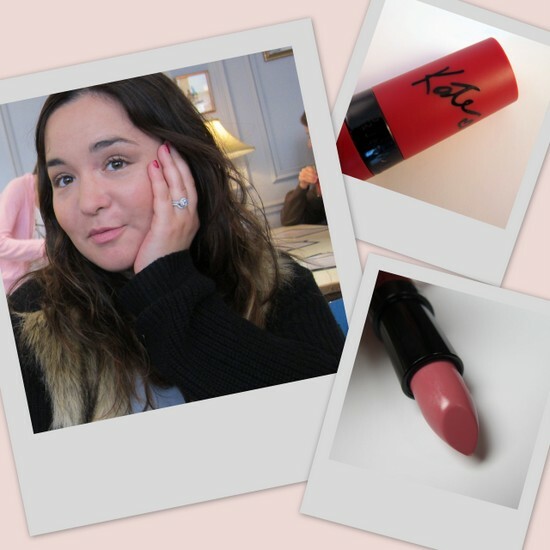 Everyone loves these lipsticks and yep, here’s another convert. The formula is one of the new breed of mattes – velvety, non-drying, creamy and with a bit of a sheen. Personally, I don’t care for the sweet, fruity scent, but for such exceptional performance and tiny €6.95 pricetag – cheaper yet in the airport, where I picked this up - I can definitely look past it. Available in five shades – there’s also a beige, red, coral and berry - I stepped outside my comfort zone with this dusky, cool-toned pink. The closest colour I own to it is MAC’s Snob, which leans cooler and more mauve. 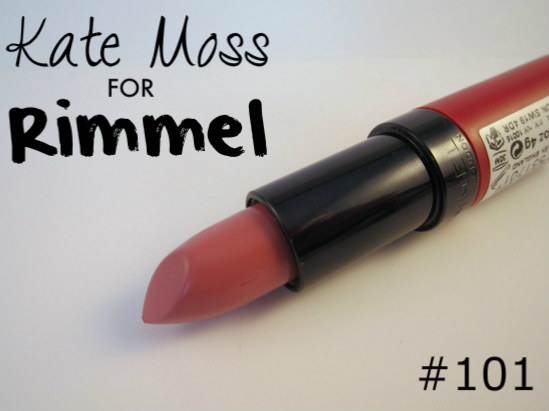 #101 is a touch more wearable, giving a pretty, soft and almost vintagey lip look. I’ve been so seduced by this that I now own two more - and I fully intend to collect the full set! Have you tried these yet? And what’s your favourite current lipstick look? Someone alerted me to these a bit early (yes, the spoiler you posted on FB) and I bought two at the local as they had 'em at 4.95. Loving them both! But now I've got a bit of a gra for the YSL version! Felicity the YSL mattes are divine - put one on your Christmas list! Wow! High praise indeedy...must go check them out. I'm still loving my Tom Ford Black Orchid, it's my current go to lippy. Oh I must purchase and try, love red lippy! I got this one and 107, the berry shade. I like 101 well enough, although it is pretty dupeable. But, 107 is such a gorgeous shade. I adore it! Not tried them yet, but it looks great. I like lip products that don't dry out the lips, but don't leave a high glossy finish either. The colour suits you very much...will look out for this!! Have a great day doll! I love them so much! Especially 107, but my god, that scent is awful! I like how subtle and natural this tone looks, so pretty! Oooh! It's pretty on you!! I love Rimmel lipsticks! Hpe this comes here soon! Looks good on you! And I like these myself, too. Love the texture and the finish. I really love this shade on you Emma! Ooh I think I'll have to get it, this was the only other shade I thought of getting even thought the red looks gorgeous I have so many reds and recently bought two new ones but I don't have anything like this gorgeous rosy colour. It's funny how this range has been so popular in comparison to the original ones! I have only tried rimmel nail polish! Def need to check out the rest of their lipsticks. I'm deffo going to try these one's as you cant argue with the price tag! Will be hard to put down my Ellis Faas creamy favourite though!!! I love makeup smells too but for the perfect mummy's make up bag smell from a lipstick I cant beat my Rouge Diorific its gorgeous!! I love these lipsticks even though I'm not a massive lippy fan. Bought two want the rest. Love matte lipstick especially when it doesn't dry the bejesus out of my kissers. Emma, you look so adorable! Love it! I've been meaning to try this range... heard only good things!